I wish you all Merry Christmas with “Kallikantzaroi“! 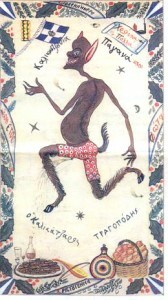 From Wikipedia: Kallikantzaroi is a malevolent goblin in Greek folk tradition. They dwell underground but come to the surface during the twelve days of Christmas, from 25 December to 6 January (from the winter solstice for a fortnight during which time the sun ceases its seasonal movement). 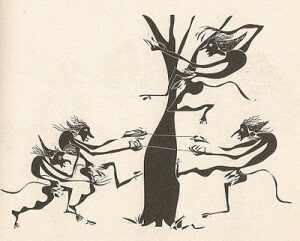 It is believed that Kallikantzaroi stay underground sawing the World tree, so that it will collapse, along with Earth.